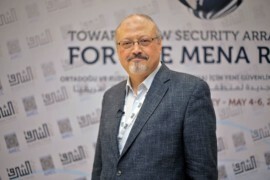 The European Centre for Democracy and Human Rights, together with Americans for Democracy ad Human Rights in Bahrain, Defenders for Medical Impartiality, Doctors of the World and Doctors for Human Rights, have issued a letter to Saudi Arabia’s King H.R.H. King Salman bin Abdulaziz al-Saud regarding the Saudi-led coalition in the Yemeni war. We are concerned about the casualties and breaches on International Humanitarian Law operations “Decisive Storm” and “Restoring Hope” have caused in the Republic of Yemen. We urge His Majesty and the coalition forces to lead their hostilities in a manner compliant with International Humanitarian Law and to avoid targeting the civilian population and medical centers and practitioners.